Kim Merida is shown in the audience attending his last Board meeting as Facilities Coordinator on January 28, 2019. After a career focused on the well-being and safety of all Knox County students, educator and administrator Kim Merida has retired from the Knox County Public Schools effective January 31, 2019. 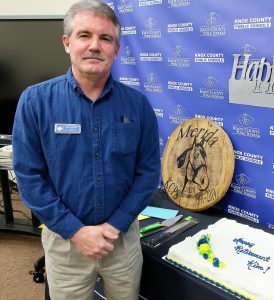 Merida started his education career in 1991 as a business education teacher at Knox Central High School, then located at 311 North Main Street. His role of teacher extended into other duties such as athletics (track coach) and various school committees. 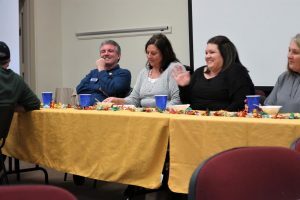 His compassion for students, especially those who were struggling both academically and personally, became quickly noticed by district leadership at the time. In December of 1998 Merida was selected as principal of the newly formed Knox County Alternative School. The school, located in the current Board of Education Annex building, was soon relocated to the old Lynn Camp High School due to the number of enrollments and lack of space in the Annex building. 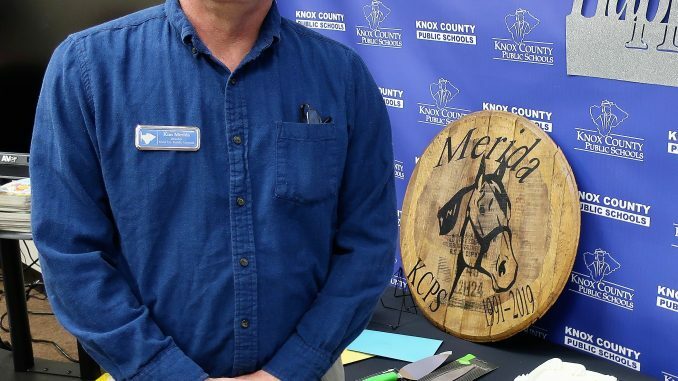 It was during this transition that Merida advocated that the school be renamed the Knox County Learning Academy and that a school mascot and colors be selected by students. Merida wanted the students at the school to have the same school pride and representation as others in the district. The Board was quick to approve Merida’s proposal, and the Mustang became the official school mascot and the colors of green and maroon were selected. 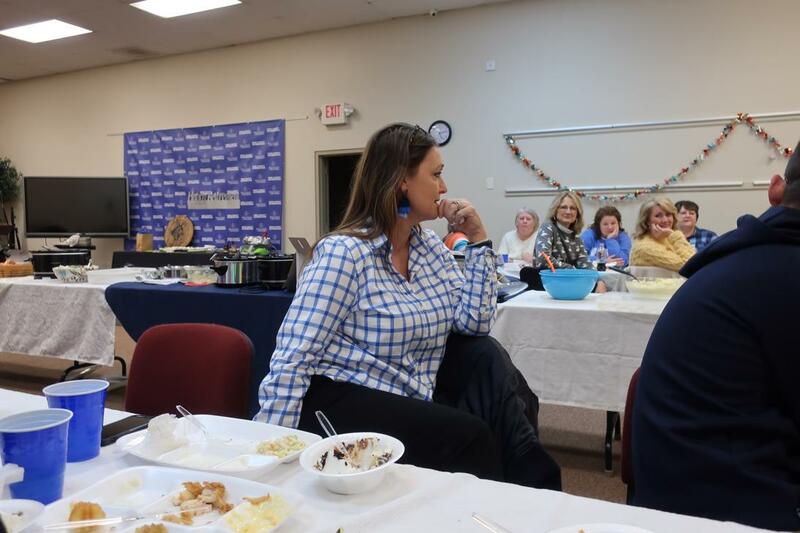 During his retirement luncheon, Merida shared with colleagues that some of his best memories were during his time at the Learning Academy. Stacy Imel, who was the school’s guidance counselor at the time, echoed Merida’s comments stating that he had a strong compassion for those students and would go the extra mile to provide them assistance. In December of 2002, soon after opening the Learning Academy at the old Lynn Camp, Merida was selected to return to Knox Central and take on the role of assistant principal. It was during this time that Merida’s knowledge of student discipline and school safety became noticed by district leaders. Following the events of September 11th, Merida became part of the school emergency management team. His leadership role at Knox Central included the construction and opening of the new high school located on Panther Way and U.S. Highway 25 E.
School construction, safety, and student behavior were the qualifications that district leaders were in search of for the next assistant superintendent in 2009. In July of that year, Merida moved to Central Office to fulfill that role. Merida quickly became the go-to person for parents and families with school concerns, staff for workplace safety, and vendors as the lead for bid contracts. Construction projects such as the renovation of school exteriors, the consolidation of Artemus and Boone to become the new Central Elementary, and energy performance contracts were just a few of the major projects that Merida would lead. 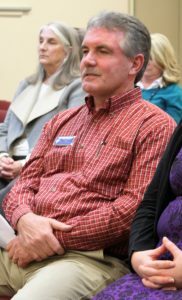 In 2013 he transitioned into the role of Facilities Coordinator/Director to focus exclusively on those needs in the district. But as Superintendent Sprinkles shared with Board members, it was the assignment of school safety that is one of the most important contributions. “He takes school safety very, very seriously. There’s lots of roles that he has played, but I feel like the school safety is one that I commend him for because he has taken it very seriously. Because of the work and efforts of Mr. Merida the Knox County Schools are safer for our students and our employees,” said Sprinkles during Merida’s attendance at his last Board meeting on January 28. Mr. Merida is shown with gifts and a cake during his retirement luncheon. Stacy Imel listens to Mr. Merida share stories of her and him during their time at the Learning Academy. Mr. Merida is shown with his family during the retirement luncheon. Video of Superintendent Sprinkles’ remarks is available below. To Mr. Merida, the Knox County Public Schools wishes him all the best in his retirement and applaud the work he has done for Knox County students.